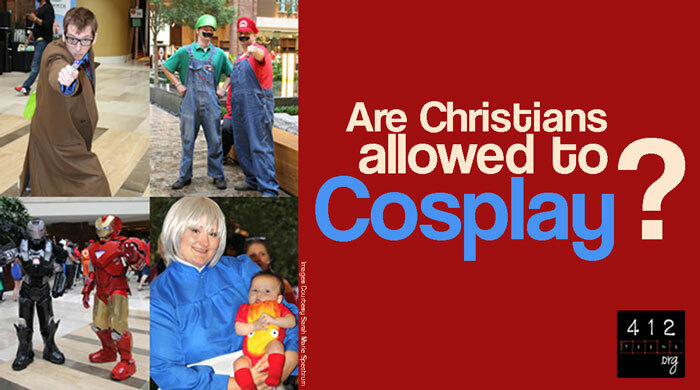 Should a Christian be involved with cosplay? What is cosplay? You have probably heard a friend or two mention the word "cosplay." In fact, you might have seen them dress up, talk about things relating to the universe in a language you can't understand, or witnessed them packing up stuff and traveling across the country for a weekend con (convention). Welcome to the world of the cosplayer. Cosplay is derived from two source words. The first being costume [cos-] while the second is roleplay [-play]. Cosplayers usually have a specific theme for their costumes, and often they will roleplay/act like the character their costume represents. Costume themes range from anime, movies, books, television, or even personal interpretations of combined themes. People enjoy cosplay for entertainment and some even go as far as seeing it as a high-class art form. Either way, cosplayers make up a wide spectrum, from those who put throw their costumes together at the last minute to those who have been working on a costume a full year before their debut at a convention or show. There is nothing sinful about dressing up in costumes with a bunch of other people or attending a convention where cosplay is going on. The cosplay community can be very welcoming, encouraging, and supportive. Often players will compare costumes, share tips, and experience a camaraderie that is unlike many other interest-minded communities. Who knows, you could even make friends with other players with whom you could eventually talk about your faith. Cosplay is a personal choice that reflects upon each individual. It shows your interests as well as your personality, but that can be a two-edged sword. 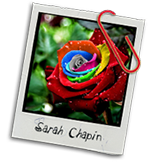 As a Christian, it is important to remember that any character you want to portray could be imposed as part of your personal, real character or "identity" in someone else's eyes. Matthew 5:16 says believers should "let your light shine before others, so that they may see your good works and give glory to your Father who is in heaven." How do you want non-believers to see you then? Based on your costume and conduct, how will they see you? Another consideration is how your family or friends might react if/when they see a photo of you in your costume. Will you be dressed and acting in a way that honors God (1 Timothy 4:12)? When it comes to costume choices, both men and women should be careful—especially when it comes to modesty. Some fictional characters that would normally have skimpy or revealing clothes, you may be able to pull off with extreme caution, but when you reach that point, is it really worth it? I have personally cosplayed some characters for which actually needed to alter my costume interpretation to allow for modesty. It ended up taking away some of the authenticity of the character, but I'm not going to compromise my moral convictions over a costume. In the end have fun, be responsible, and remember 1 Corinthians 10:31: "So, whether you eat or drink, or whatever you do, do all to the glory of God." Is it a sin to wear a costume on Halloween? Should Christians wear make up or dye hair? There is nothing sinful about dressing up in costumes with a bunch of other people or attending a convention where cosplay is going on. As a Christian, remember that any character you want to portray could be imposed as part of your personal, real character or "identity" in an unbeliever's eyes. You should "let your light shine before others, so that they may see your good works and give glory to your Father who is in heaven" (Matthew 5:16). If/when you cosplay, dress and act in a way that honors God (1 Timothy 4:12).